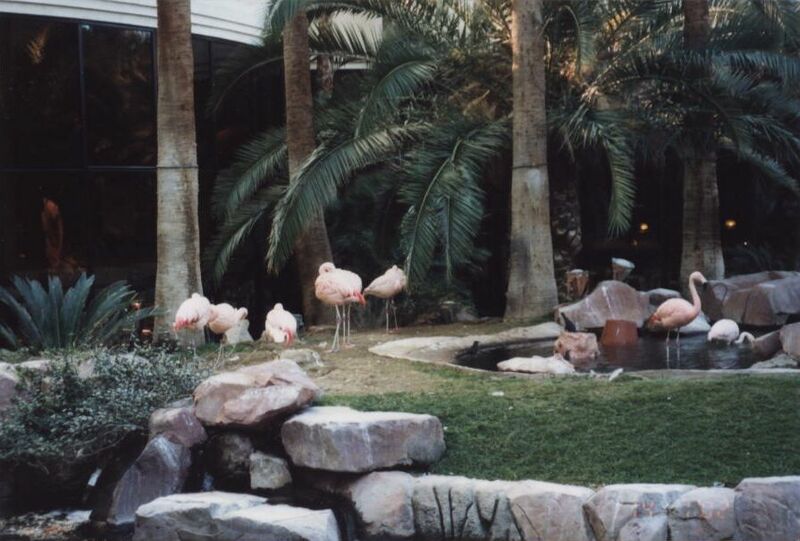 The landscaping makes you feel like you are in the Tropics. 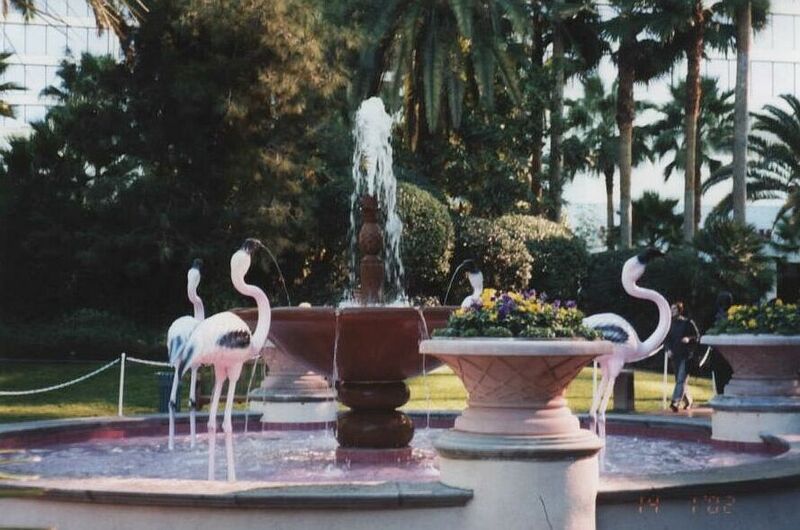 There are paths along beautiful flower gardens, fountains, ponds, swimming pools, waterfalls and streams. 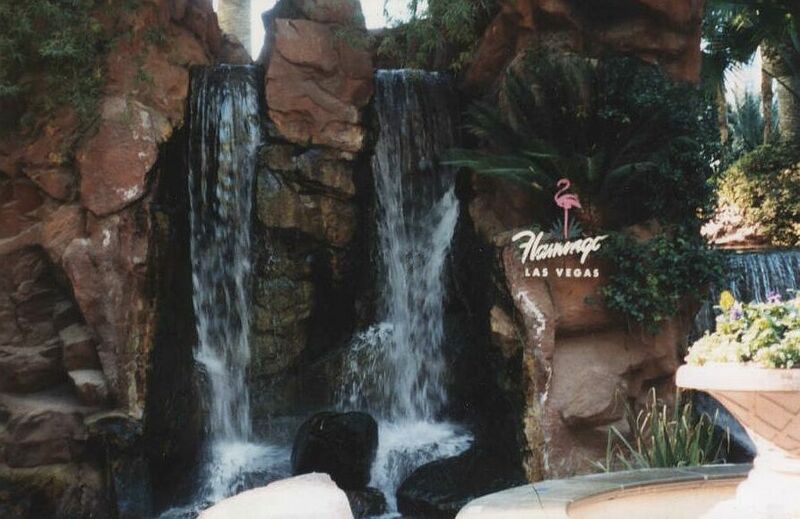 The pool area at the Flamingo consists of many connecting pools. 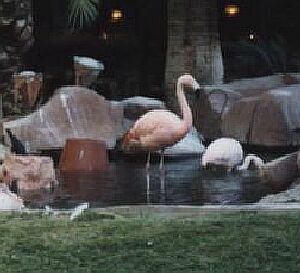 The habitat is located next to the pool and is home to Chilean flamingos, African penguins, swans, Mandarin ducks, parrots, Koi fish, goldfish and turtles. There are also supposed to be pheasants and a crane but I did not see any. by a moat. They live on a diet of shrimp. 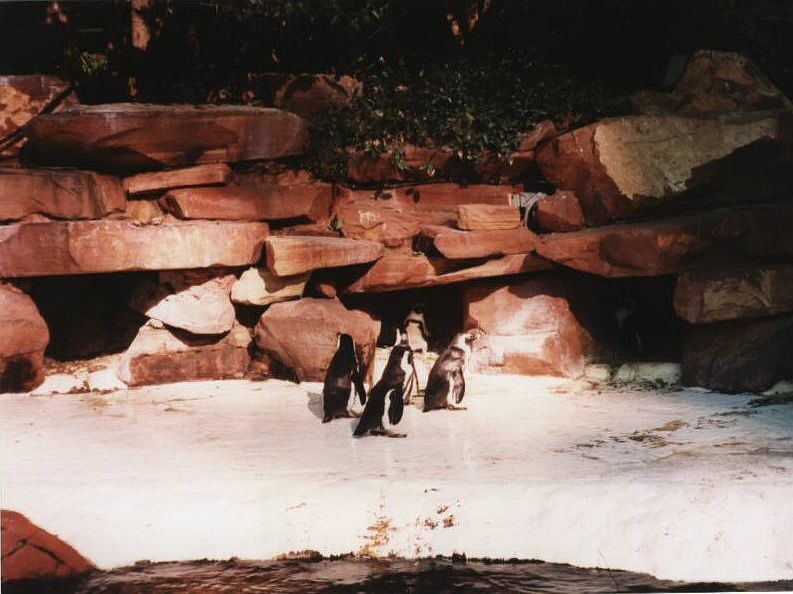 The penguins are fed twice daily. They eat smelt, herring and codfish. 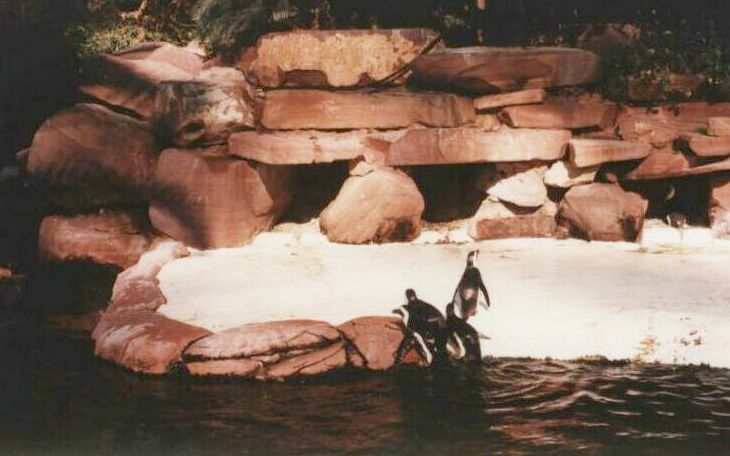 They have lots of water to swim around. 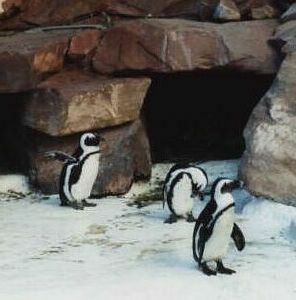 Since they are African penguins they do not suffer in the desert heat. If it gets too hot misters are provided to help cool the air. 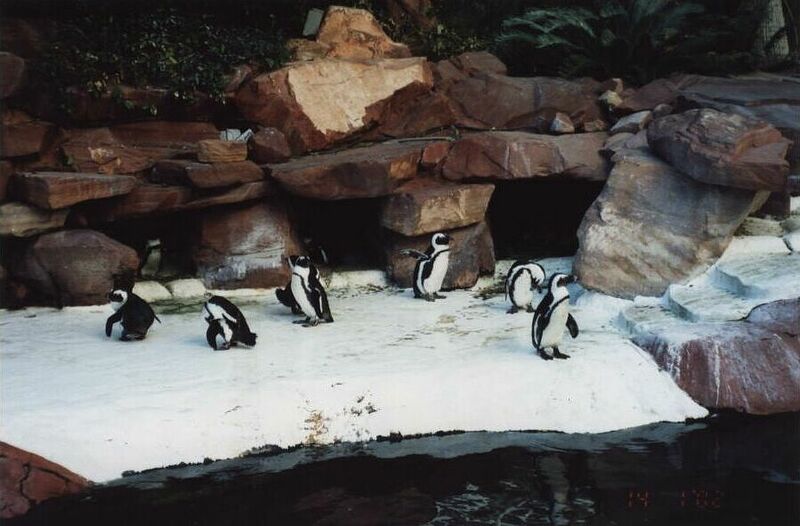 African penguins are able to live where it is hot.